Established as an academic medical center in 1952, the University of Miami Miller School of Medicine (UMMSM) now treats more than 1,000,000 patients annually, serving South Florida, South America, and the Caribbean in education, research, patient care, and community service. The facility’s location was once part of an estate and surrounding golf course–an isolated precinct that remained distinct from surrounding residential blocks for the first half of the twentieth century. The addition of highways and arterial roadways carrying increased traffic past and across the region further isolated the area, while growth and integration of the district’s institutions extended beyond its original boundaries. The campus now actively spans NW 14th Street, as well as NW 7th, 9th, 10th, and 12th Avenues. Faculty, staff, patients, and visitors criss-cross the district on numerous daily trips. With more than 67,000 daily employees and visitors, the district is now a destination as large as many city centers. 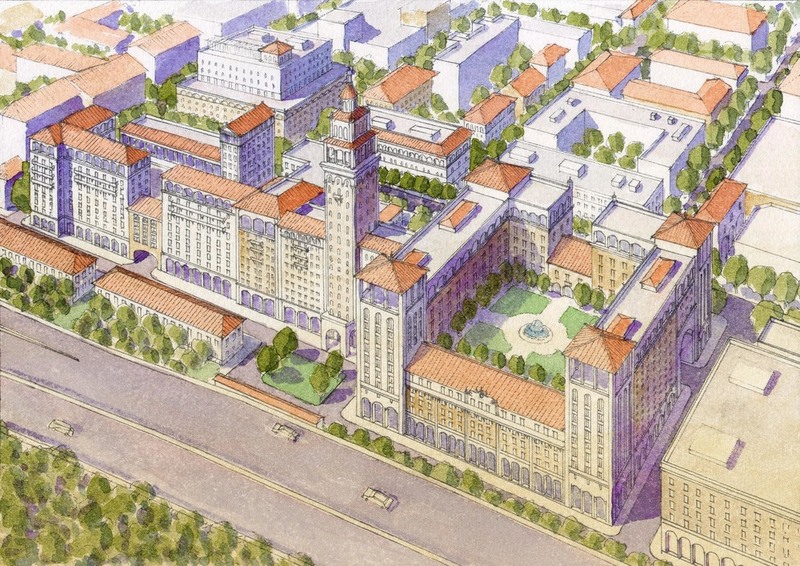 In January 2007, the school initiated a long-term plan for the campus to ensure that all future development enhances the quality of life of the faculty, staff, students, patients, visitors, and neighbors. Chief among these goals is the role of the campus as a model healthy community. 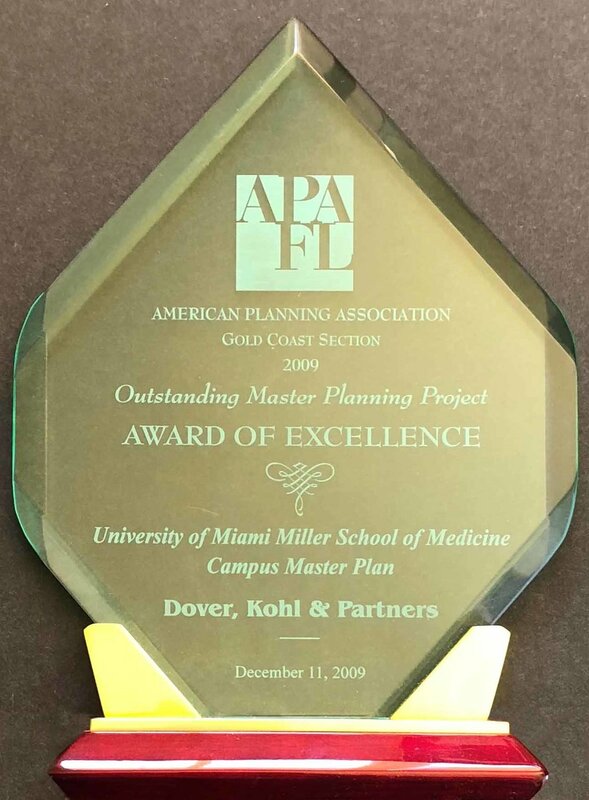 Assisting Dover-Kohl in the creation of the Master Plan were consultants Hall Planning & Engineering, Inc., Gibbs Planning Group, Inc., UrbanAdvantage, and the University of Miami School of Architecture.